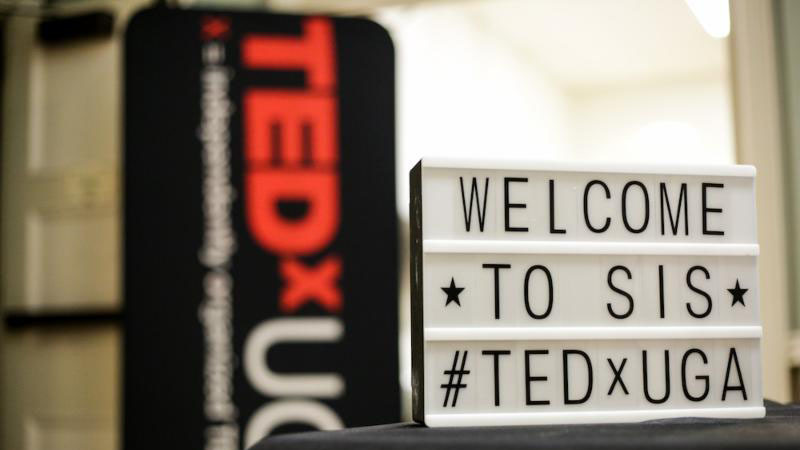 Earlier this month, the TEDxUGA Student Council hosted the 6th annual Student Idea Showcase. In this TED-like experience, nine students took the stage at the Fine Arts Theater to share their ideas worth spreading with 675 members of the UGA student body. They delivered talks on a wide range of ideas including gender, emergency preparedness, and biodegradable plastics. All of the ideas had the opportunity to be celebrated by the UGA community, but three were also selected to move on to the TEDxUGA stage in March. If you’re eager to see these students and the rest of TEDxUGA 2018: Connect, make sure to save the date for Thursday, March 22nd! And stay tuned–registration information and the full presenter line-up for TEDxUGA 2018: Connect will be announced in the NMI Newsletter early next year. If you want to catch what you missed or relive the action, check out photos from the event on Flickr and Facebook now. Don’t forget to find your snapshot from our photo booth!